Our school is furnished with Jonti-Craft products which are rated as the strongest and safest in the industry. The surface on our playground is professional NFL Turf with padding and sand underneath for safety. The surface reduces the risk of injury while children are playing on the playground. Our staff are also trained to ensure proper supervision is always maintained when children are indoors or outdoors at our facility. All of our staff members are CPR and First Aid Certified. The flooring throughout our school is anti-microbial. There is no need for harmful chemicals to clean them. We offer catered meals that meet nutritional needs of the students. Nutritional information is provided to parents to help support and encourage healthy eating habits both at home and at school. We follow an age appropriate curriculum with themes that change weekly to provide excitement and variety. Teachers monitor growth throughout the year by completing assessments, Teacher-Parent Conferences, and portfolios. We follow the philosophies of Creative Curriculum. We offer Mom Chef catering for daily lunches at a fee and provide free snacks. Meals are well balanced and provide all the nutritional requirements of growing children. Teachers encourage children to have good manners and proper eating habits at the lunch table. We welcome you to pack a lunch if your child has a food preference. If your child has an allergy or dietary need please let us know and we are happy to accommodate. Our school remains locked at all times. In order to enter the school parents receive an individual access code. The access code gives you entrance to the front lobby only. We have a touch screen fingerprinting system that allows access to the rest of the school. In addition, you can view your child from home computer, cellular device, or your office computer by utilizing our web cams. Web cams are located in each classroom, our media center, and playground. The National Highway Traffic Safety Administration (NHTSA) strongly recommends to the states that have not passed the law prohibiting van use for transporting children to use, what they term, “New School Bus Category for Multifunctional Transportation Needs”. Parkland Children’s Academy will only use school buses. Our students are growing up in a world of technology. Throughout our curriculum we often use our Smart Board, which is an interactive computer to expand our curriculum. Children learn through the use of color, number, math, and phonological awareness activities that offer a hands-on approach with technology. Our Smart Board is a giant touch screen 66″ x 46″. Our staff are carefully selected and must meet specific criteria. They are all experienced and credentialed teachers who support our philosophies and curriculum. We offer VPK which is a three hour Prekindergarten program offered FREE through state funding. Children must be born on or before September 1. If you need more information regarding obtaining a VPK voucher for your child please feel free to call us for assistance. VPK Standards require us to have qualified instructors who teach age appropriate curriculum with an emphasis on early literacy skills. We follow the VPK ratios to ensure small class sizes. Our current and former parents have a lot to say about us. 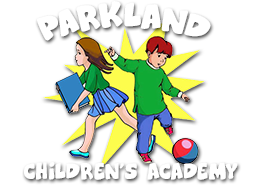 Feel free to read up on all our preschool reviews from happy Parkland Children’s Academy students and parents.